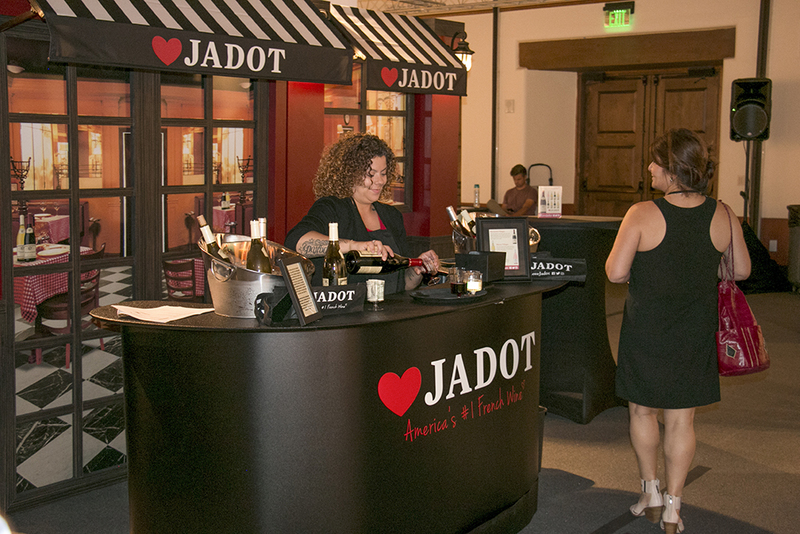 Art Santa Fe started off with a bang (or a pop thanks to Louis Jadot Wines)! 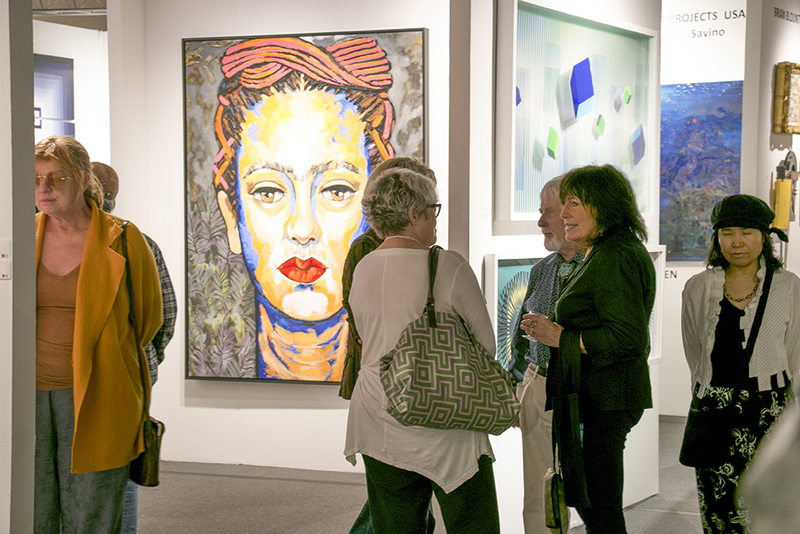 More than 2,500 people showed up last night for the show’s Opening Night Preview Party, where they were greeted by our friendly production team and wine and hors d’oeuvres, and hundreds of extraordinary works of contemporary art. And they weren’t hesitant to take advantage of the opportunity to be the first to see the fabulous artwork on display. Come to Art Santa Fe early so you have a chance to take home your favorite pieces, too! 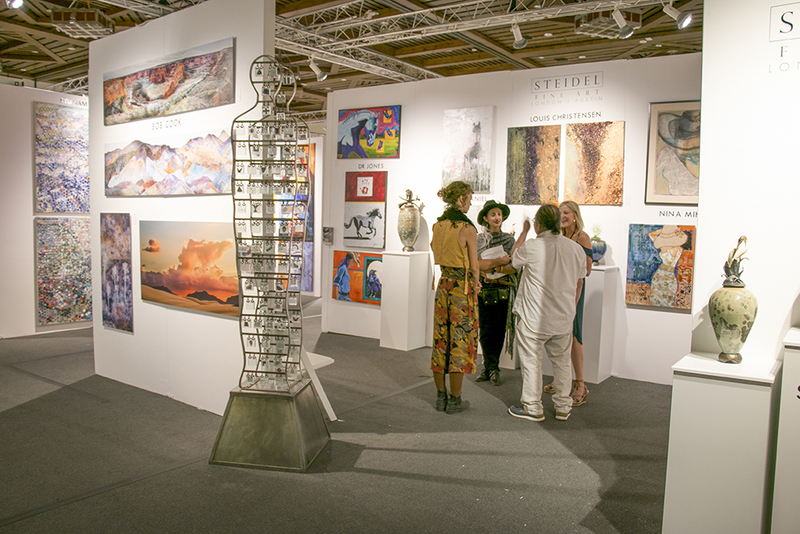 Steidel Fine Art is one of more than 60 artists, dealers, and publishers from across the globe exhibiting at Art Santa Fe 2017. 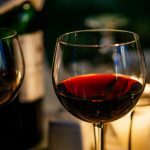 Attendees sipped on Louis Jadot wine as they enjoyed an exclusive look at the array of art while mingling with the artists and fellow attendees at the Opening Night Preview Party. 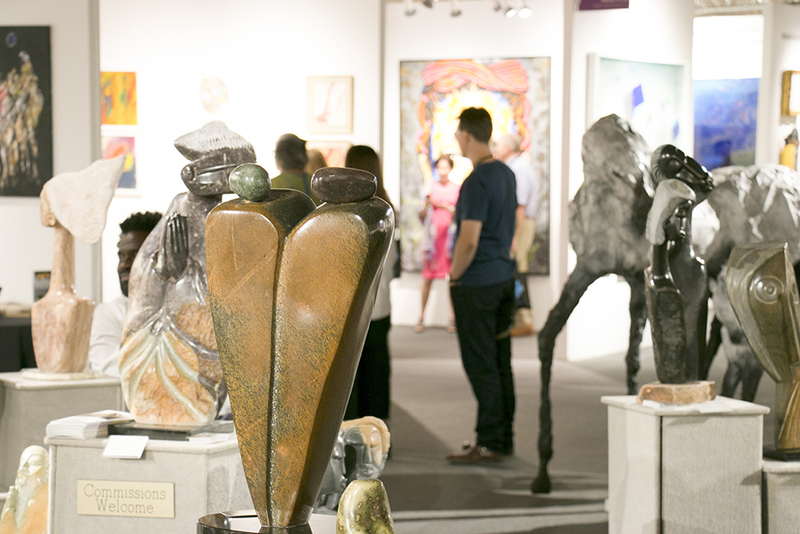 Gedion Nyanhongo showcases his stone sculptures in the style of Shona Sculpture of Zimbabwe, Africa, at Art Santa Fe 2017. 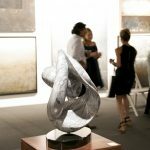 Showcasing paintings, photography, sculpture, glassworks, and more from 60 international galleries and studio artists, Art Santa Fe, now in its 17th year, runs through Sunday at the Santa Fe Community Convention Center. The featured programming—from Art Labs where attendees can watch highlighted artists create their masterpieces to Art Talks where they can listen to thought-provoking talks by international artists—offers something for everyone. Take a look at the full show schedule to see what’s coming up! Contemporary Art Project USA artist Ricardo Lowenberg is strongly influenced by Frida Kahlo, her colors, and shapes. 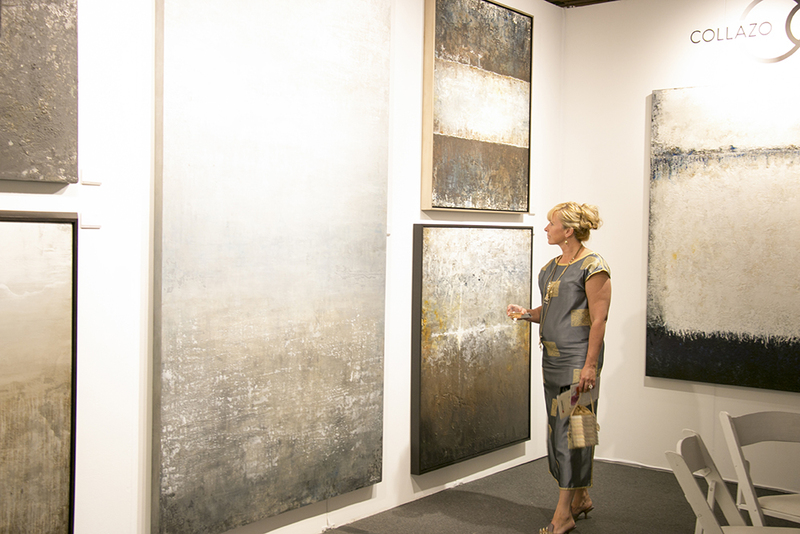 Art Santa Fe 2017 Spotlight Artists Gabriel Collazo and Angela Brooks of Collazo Collection collaborate both in life and on the canvas to create large-scale paintings. An extraordinary highlight of the Art Lab “Translation” by Zammy Migdal is her celebration of the French master Henri Matisse’s paper cuts and collages. We’ll keep you posted every day on the latest happenings at the show. Make sure to follow Art Santa Fe on Facebook, Twitter, and Instagram for all the latest news and pics. We hope to see you there this weekend! 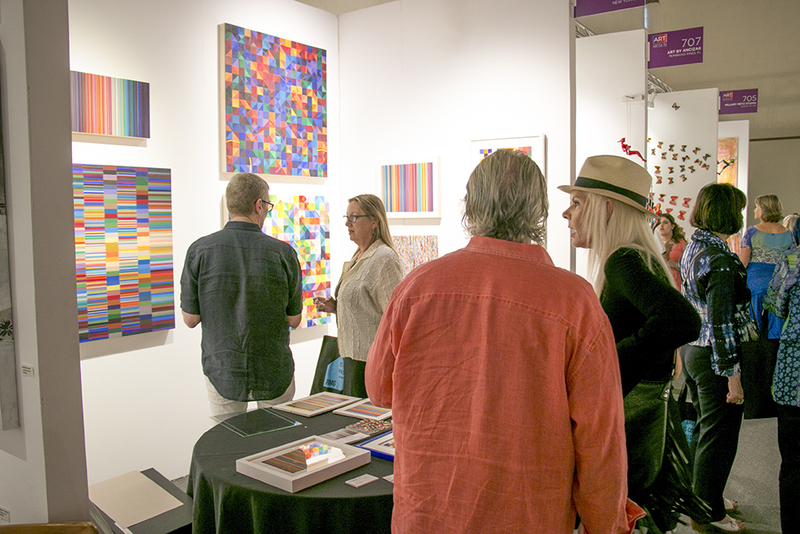 Attendees take artist Felton Weller’s works of both stripe and color arrangements and square and color images. 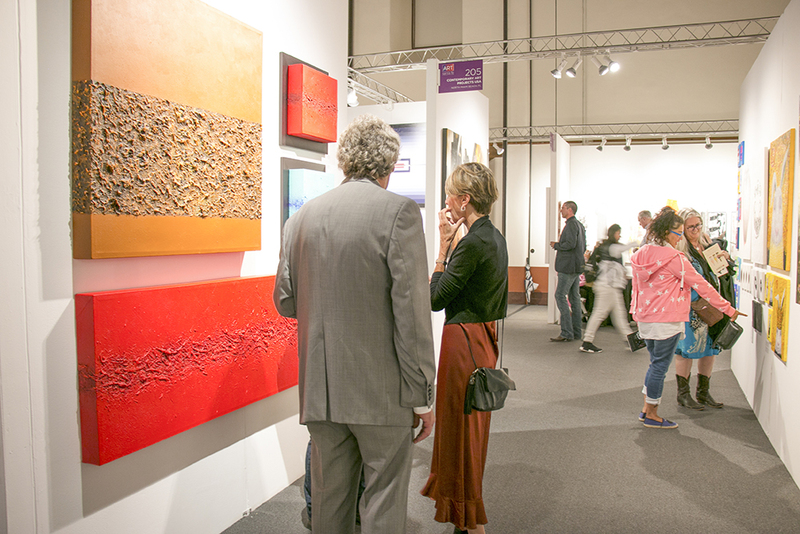 Art Santa Fe attendees enjoy paintings by William Stalhuth of Contemporary Art Projects USA. 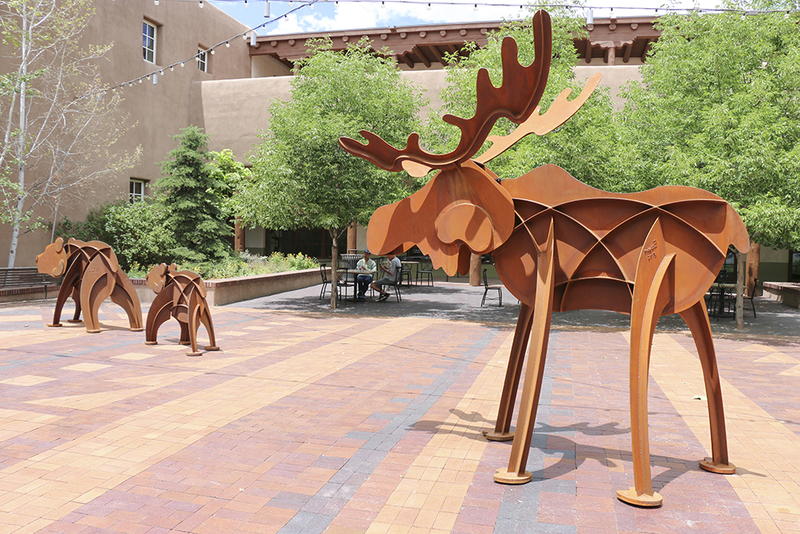 The work of Fredrick Prescott of Prescott Gallery & Sculpture Garden transforms the entrance of the Santa Fe Community Convention Center into an exhibition space. © 2019 ART SANTA FE. ALL RIGHTS RESERVED. I consent to Art Santa Fe – July 18-21, 2019 collecting my details through this form.